However it also has a number of drawbacks, notably the fact that it is invariably and inline set up. I’m no great fan of inline rigs, and the negative side of these is compounded in weedy waters. In really heavy weed it is virtual suicide to use an inline set up if you want to land a fish. Here a set up that dumps the lead on a take is a must. I came across a Korda video about using sweet corn in funnel web. 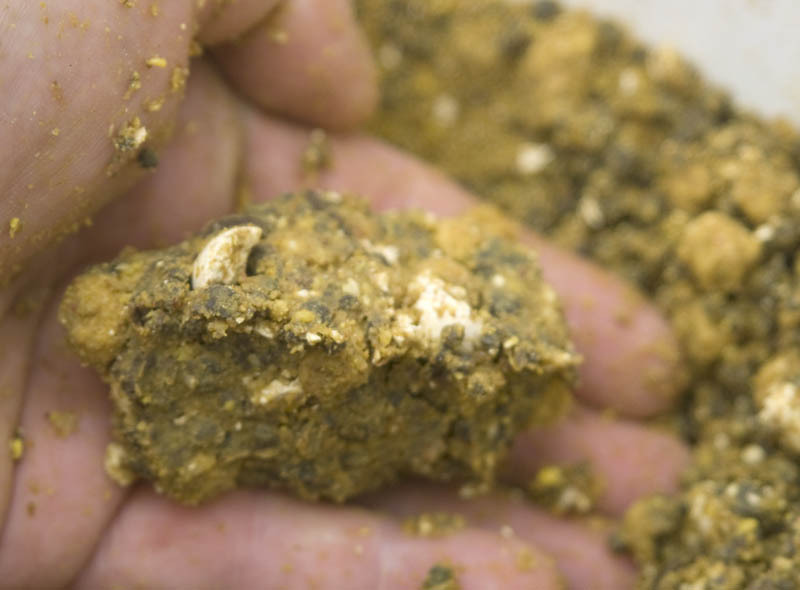 This got me thinking, if it works for particles why not for Method mix groundbait. 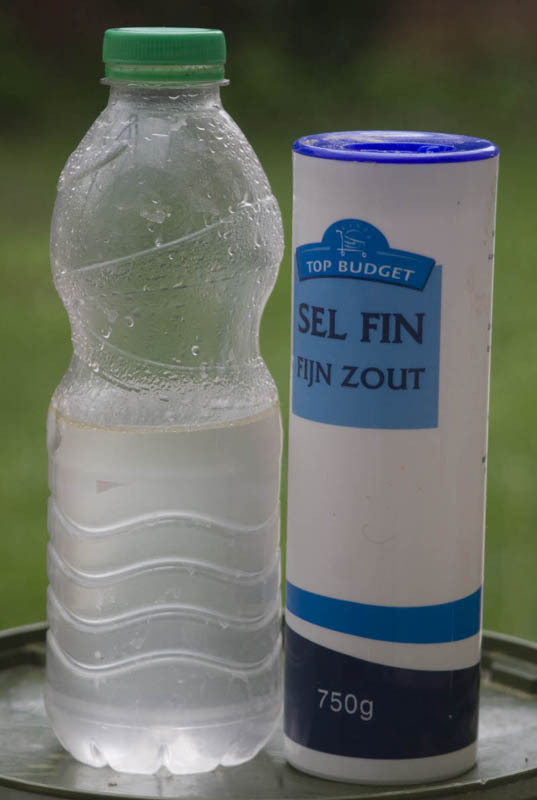 So I started to experiment with dissolving table salt in warm water. It can be done up to 30% salt per volume, but I’ve found 200g of salt per litre works fine. Wetting the mix is just like preparing a conventional Method mix, well actually its not as critical as you don’t need it to bind to a feeder. 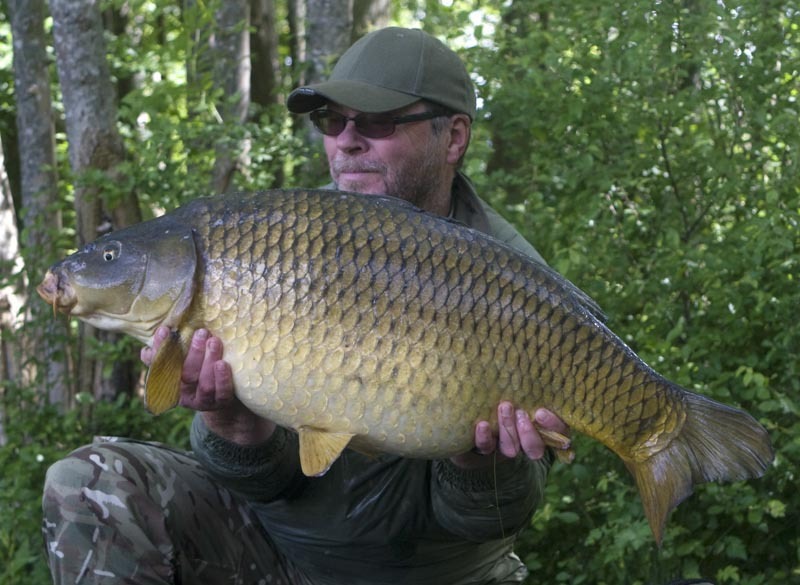 You can add hemp, sweetcorn, tiger nuts… whatever you like and then make up a very compact and tight solid PVA bag. The finished PVA bag ready for casting with the rig drawn inside it. My bagging technique is one shown to me by Shaun Harrison, whereby you fill your bag, drop a pear lead in the open mouth and bind it up around the swivel with PVA tape. Once the swivel is mounted on a safety clip the hook link can be drawn through the bag with a long baiting needle. The salt water PVA bag mix allows you to make a really dense and compact bag, that is just perfect for dropping into holes in the weed on the lake I’ve been fishing. The system has a number of advantages over a standard stick mix, made up with PVA friendly glugs. The salt actually acts as a natural attractor to the carp. In winter it allows you to use a water-based mix that will dissolve much faster than an oil based mix. 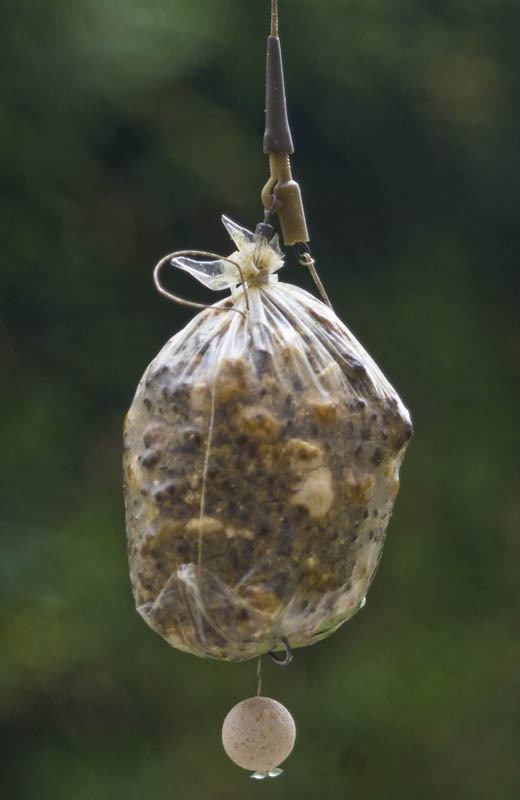 It can be used alternately with a feeder or a PVA bag, without varying your mix. You just need to get the consistency right. A very dark 33lb mirror that fancied some salt on his food. 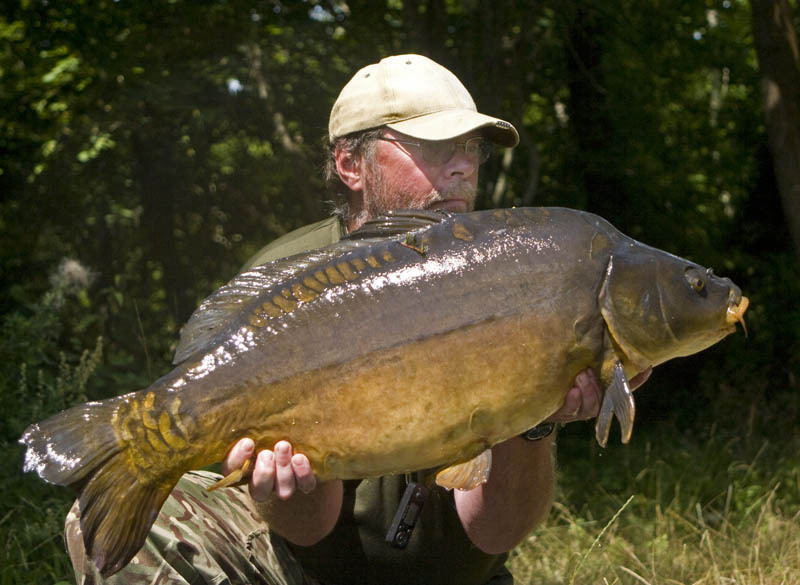 I love this way of fishing with a bright pop up or a plastic bait… The wafting hookbait just over a mouthful of food seems to be irresistible. I’ll continue messing around with various ingredients, but so far it has been a very good method. 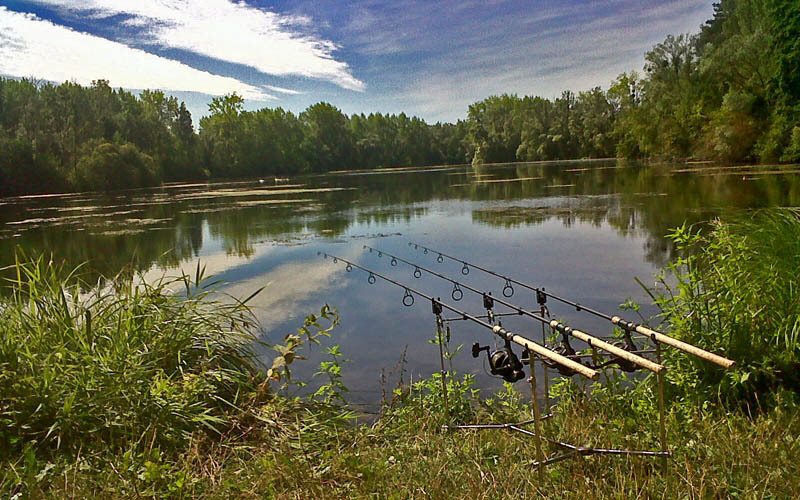 This entry was posted in Articles, Tips and tagged angling, bags, bait, boilies, carp, fishing, pop up, PVA, salt, water, weed. Bookmark the permalink.